Once a year the Finnish Navy and Naval Reserve together arrange an invitation only seminar under the name of Meripuolustuspäivä (Maritime defense day). 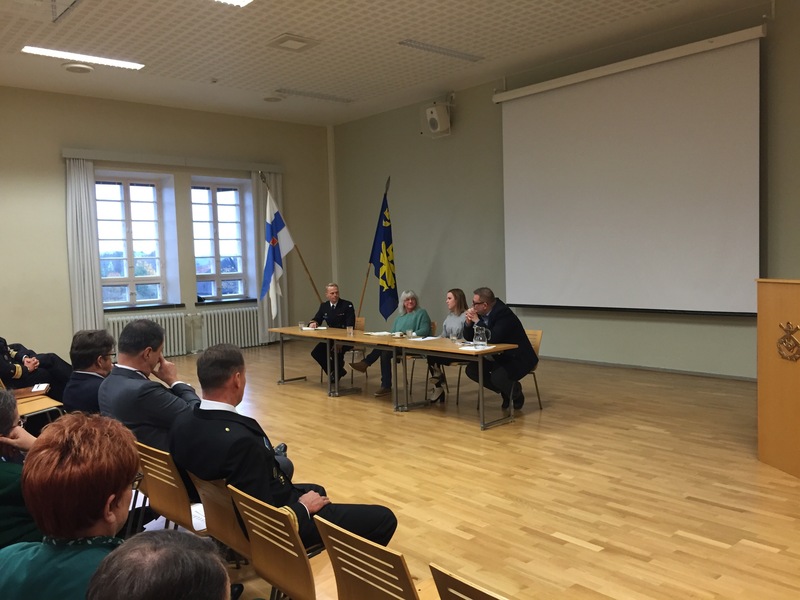 The purpose is to keep up to date with current trends in the field, as well as to enhance contacts and information sharing between the active-duty and reservist members of the Finnish naval community. 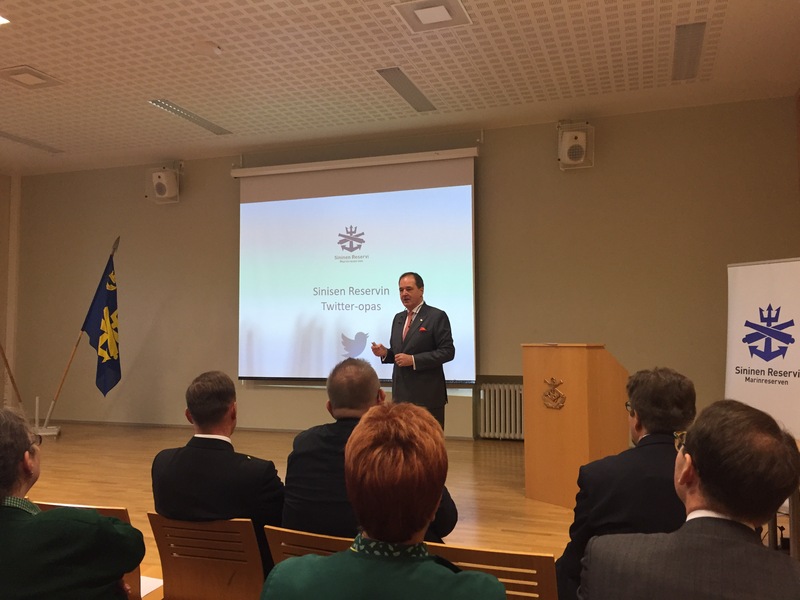 This year’s edition was held at the Naval Academy in Suomenlinna outside of Helsinki, and was attended by approximately 100 persons, stretching from flag rank officers (active and retired) to cadets, with the civilians coming from the Naval Reserve, marine and defense industry, and other stakeholders. The information in this post comes from both presentations and informal discussions. The Navy is certainly going places, and while the continued development of Squadron 2020 naturally grabs much of the spotlight, a number of other developments are taking place in the background. The Hamina-class is set to undergo their MLU in the 2018-2021 timespan, and it will mean a significant upgrade in capability for the vessels. Key amongst the changes are the introduction of ASW-capability. This is to mitigate the shortfall in ASW-capable hulls that will take place with the withdrawal of the older Rauma-class. The MTO 85M will also be replaced as discussed in an earlier post, with the new missile being installed on both the Hamina and the corvettes, as well as replacing the truck batteries before 2025. 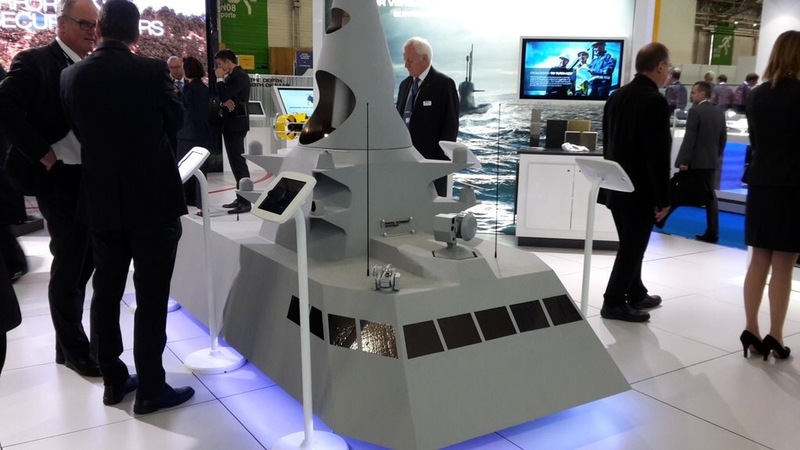 The plan seems to be that the updated Hamina will be the ‘little sister’ of the corvettes, sporting some of the same weapons and capabilities, which will allow for better interoperability between them. The introduction of a proper ASW capability in particular is most welcome, as sub-hunting is a field where search ranges are very limited, making the number of hulls available a key factor. The Navy will now also be able to work up proficiency on new capabilities on the first modified Haminas while waiting for the first corvette to reach operational capacity. In the meantime, further procurements have been made for a number of weapon systems destined to stay in service, and part of the Jurmo-fleet is also destined for a MLU in the near-future. The last Katanpää-class mine-hunter is set to be handed over by the yard in Italy on the 1 November. The vessel, like its sisters already in Finland, will receive some minor changes to bring it up to standard. On the whole, the Navy is very happy with the class, with representatives noting that the delays and issues during the build phase largely have been related to the handling of the project, and not the vessels themselves. The increased tensions around the Baltic are visible in the everyday work of the Navy. Not only is the Russian Baltic Fleet more active, but also the increased number of vessels being built for export by Russian yards bring traffic to the Gulf of Finland as they undertake sea trials here. The Finnish Defence Forces identify every single vessel moving on the northern Baltic Sea and in the Gulf of Finland, employing whatever method is the most suitable for each individual situation. The Navy is also further increasing its emphasis on readiness, not only as a technical requirement, but also as a state of mind for all personnel involved. This include not only active duty soldiers and seamen, but also conscripts which are now allowed to take part in such readiness operations for which they have received proper training. The Navy of today is first and foremost a readiness organisation. For the Navy, international cooperation is a must. “We lack the capability to do certain things”, as one officer put it, and this hole is plugged through international cooperation, with Sweden as our single most important partner. The most important initiative is the joint Finnish-Swedish Naval Task Group, which is consistently improved and also the framework under which Finnish and Swedish units participate together in larger multinational exercises. For the Naval Reserve, it continues its work as a link between the Navy and its reservists, as well as the common denominator for naval reservists throughout the country (including reservists from the coast guard). While the brand amongst active reservists is strong and holds a certain sense of pride, the organisation has now also been making a conscious push to heighten awareness of the naval reserve and its activities outside of currently active reservists, which has included a new website and increased presence in social media. To further enhance discussions in social media, the Naval Reserve also launched its Twitter-guide, including tips on how to take part in the defense and national security debate on said forum. At the same time, equipment-wise the training capabilities have been increased with introduction of more L-class vessels and new canoes for the training of coastal jaegers. The theme of the panel was Hybrid Warfare, a topic which is as current as it is unclear. Defining what exactly constitutes hybrid war was a challenge in itself, with one definition being the employment of whatever methods work best, regardless of whether they are in line with traditions or any kind of legal/chivalric code. Another definition put forward focused on the use of unconventional methods by conventional actors (i.e. armies or other organised units) OR the use of conventional methods and weapons by irregular actors. A prime example of the first one is the Russian assault on Crimea and further operations in Eastern Ukraine, while the recent attack on Swift by Yemeni rebels (with or without the help of foreign ‘advisers’) using a modern complex weapon system such as a sea-skimming missile is an example of the later. It was also noted that hybrid warfare is a relatively new term in western discussions, and only after its widespread adoption here has Russian sources started using it, and then only as a description of how the west analyses Russia’s operations. The threat of the unexpected is hard to guard against. Like a cartoon figure not noticing the saw cutting through the floor surrounding you, hybrid warfare works best when the target doesn’t notice that it’s foundation is being weakened. This can be achieved e.g. through the use of knowingly breaking international agreements or codes, such as falsely declaring emergencies to gain access to ports. The term information warfare was also debated, as the use of (dis)information is a crucial part of any hybrid operation. However, as war usually involves more than one part, if someone is waging an information war against Finland, wouldn’t that mean that we are also conducting a war by defending us? Can we say that Finland is engaged in defensive information warfare? Our current defense largely consists of meeting false accusations and oversimplifications with correct information and facts, but is this also an information operation that qualifies as a kind of warfare? For the information part, it is clear that an orchestrated campaign aimed at tarnishing Finland’s reputation is being waged by Russia. The goal here might be to isolate our country internationally, with a good example of what can happen when your reputation is low being Ukraine’s reputation as suffering from a high rate of corruption, which in turn lessens the willingness of the international community to come to its aid. Another point was made regarding Hungary, with the rhetorical question ‘Who would want to come to their aid if a crises occurred?” being asked. This is reminiscent of smear campaigns being directed against individuals, which e.g. can focus on addressing (often false) discrediting information to their employers or partners, with the aim of silencing or isolating a person. This then transits over into the fact that the concept of nationalism is seemingly changing. With the increased polarisation and diversification of the Finnish society, the big question is how will “Finnish” be defined in the future? If the only thing defining it is a passport, that will inevitably threaten the unity of our society. With the younger generation seemingly less open to traditional Finlandisation, this seems like a likely target for hostile propaganda. …and speaking of propaganda: what is really the PR-value of the Admiral Kuznetsov task force slowly heading south under a cloud of black smoke? Because one thing is sure, and that is that the military value the air wing can offer for the Syrian regime forces is limited at best.